A successful retailer is one who supports and engages the growing breed of highly demanding customers by rolling out intuitive and device-friendly mobile apps that connect the customer with the store and employees. 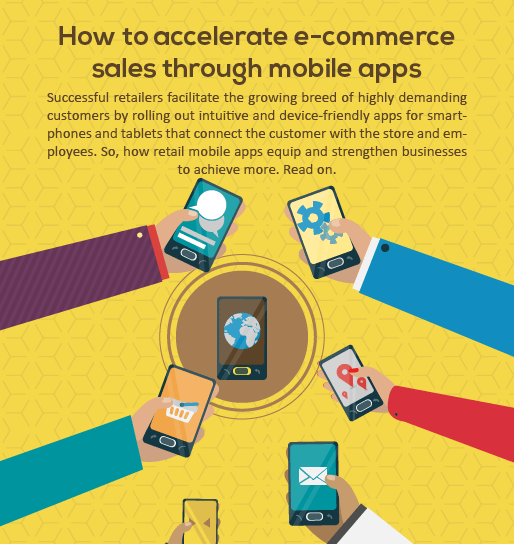 From improving your personnel’s ability to boosting customer loyalty, mobile apps are invading the territory of e-commerce rapidly. How can mobile apps equip and strengthen the Retail domain to accomplish the business advantages? Can mobility give that edge to your business? Check out. Download your copy of white paper now!